Poll: The Hollows – Final Four!!! But to countdown to that day (where you know I’ll have a giveaway goodie), I’ll be posting something everyday until the big day, including a little Q&A I did with Kim. But in the meantime, over this weekend I want you all to think about your favorite moments. And most importantly your favorite book. I’ve attached a poll here and I want to hear what you guys love about it and what you’ll miss about it. And what you’re looking forward to next from Kim Harrison. 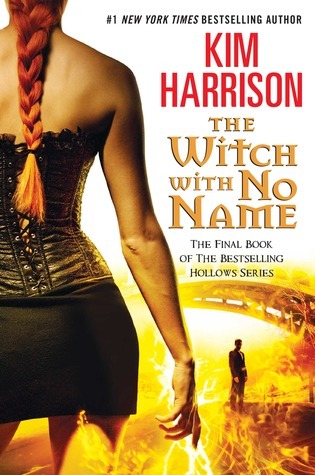 The Witch With No Name (The Hollows, #13) - Because the best is yet to come! Looking forward to anything new by Kim Harrison! Love her characters and writing style. It will be interesting to see what she comes up with next! So many great books! Each one over the past 4 books has just gotten better and better! Love the Hollows!